ST. PETERSBURG, Fla. (January 9, 2018) — A young and promising defender has joined the Tampa Bay Rowdies, with Pinellas County native Kyle Curinga signing for his hometown team, the Rowdies announced Tuesday. Per club and league policy, further contract details were not disclosed. Curinga, 23, is a Clearwater native that played high school soccer at Clearwater Central Catholic High School before moving on to Florida Atlantic University. 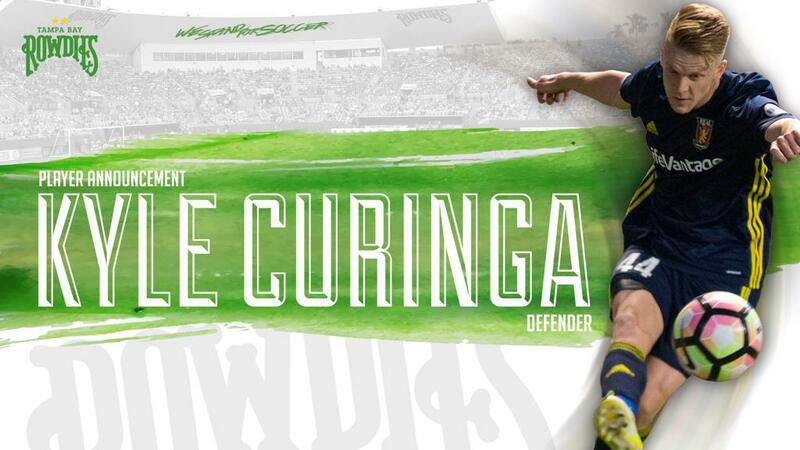 "It's a dream to sign for your hometown club," Curinga said. "I'm really looking forward to the 2018 season and proving my worth with this historic club. I can't wait to play in front of these fans, especially Ralph's Mob." He trained with the Rowdies last winter and played as a trialist in the 2017 Florida Cup before ultimately signing the Real Monarchs SLC in the USL. After leaving FAU, Curinga went to Europe with Finland’s GBK Kokkola. In two seasons with GBK in 2014 and 2015, he made 50 appearances and scored four goals. He then moved on to FF Jaro for one season in 2016. Curinga helped the Monarchs to a USL regular season championship last year, appearing in 26 matches and scoring twice.